4 Bedroom Personalities: Which One Fits You? Lying on fresh crisp sheets at the end of the day has double the impact when you are surrounded in a bedroom style you love. 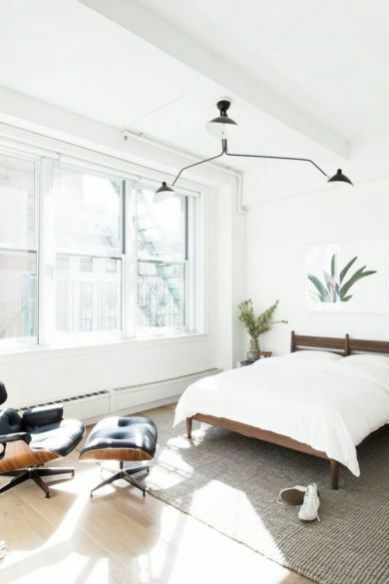 Still, bedroom styles that are stylish, functional and comfortable without looking photo-ready are not easy to create. You shouldn't wait to be in a luxury hotel to enjoy boutique bedroom designs, you can have sumptuous luxury even in a dated apartment. 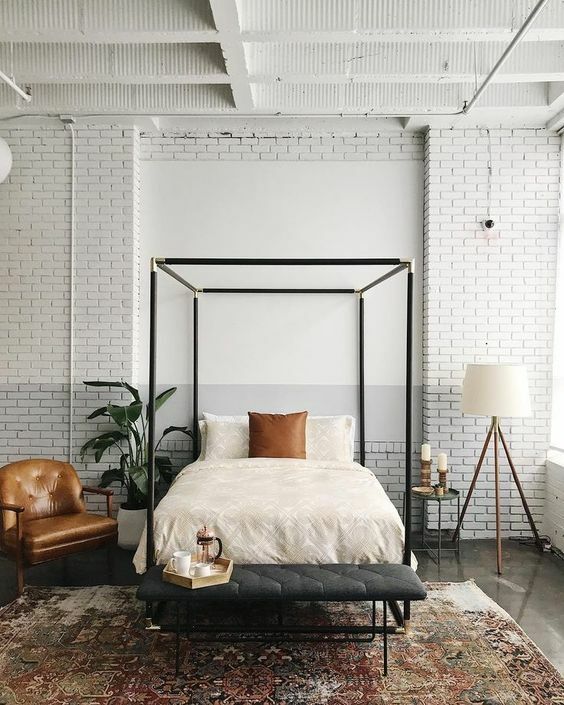 These 4 bedroom styles have inspiring bedroom decorating ideas that look great, are comfortable and functional, so you can have a restful night's sleep and something luxurious to wake up to and create a bedroom space with personality. Which of these 4 bedroom styles fits you and your bedroom? 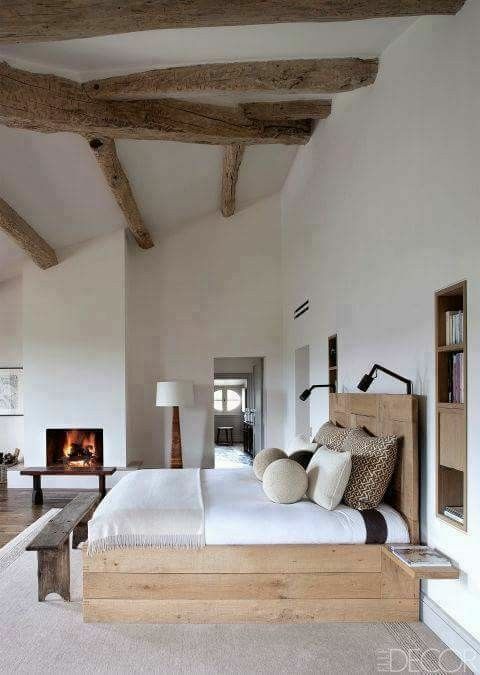 Modern rustic style bedroom design has a natural elegance mixed with a regal roughness. When you hear rustic think rural. This particular style has a lot of different textures including wood, stone, animal skins and patterns and raw textures like brick. 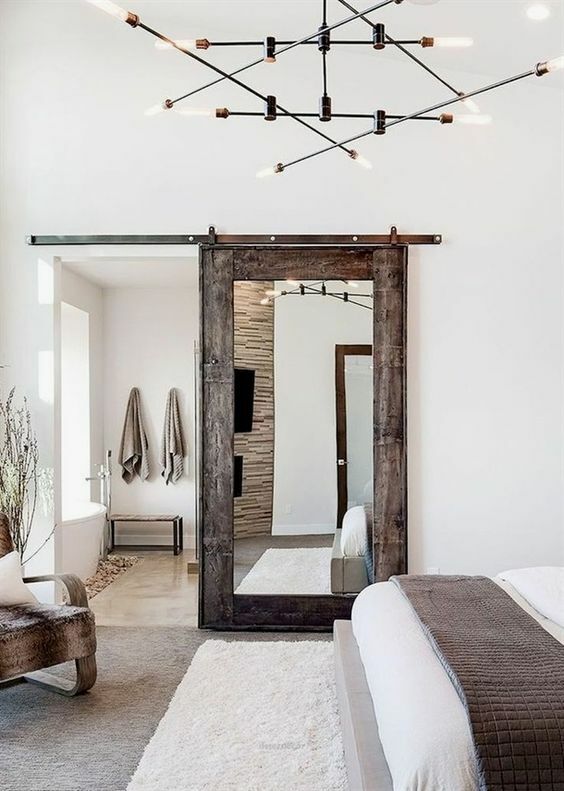 It blends earthy gray, brown and green tones along with elements from Country and Farmhouse styles such as sliding barn style doors, shiplap walls and reclaimed wood. You can go deep or wide with these elements, adding more for your own personal taste and style. That might include a vaulted wood ceiling, ceiling beams, reclaimed hardwood floors, or market handmade items. Decorating ideas include hanging lanterns, an accent wall made of brick, hanging wildlife skulls or faux fur throws. Furniture is wooden and impressive. This style rarely uses modern materials such as metal or plastic but bamboo is creeping into some elements like flooring. 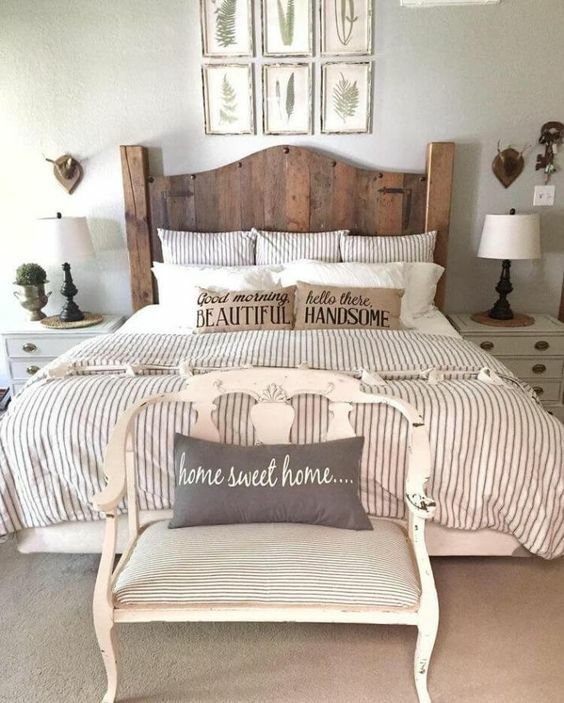 With rustic style bedrooms you can go charming and sweet by introducing pastels and soft textures, or go cabin style with lots of wood or exposed brick. 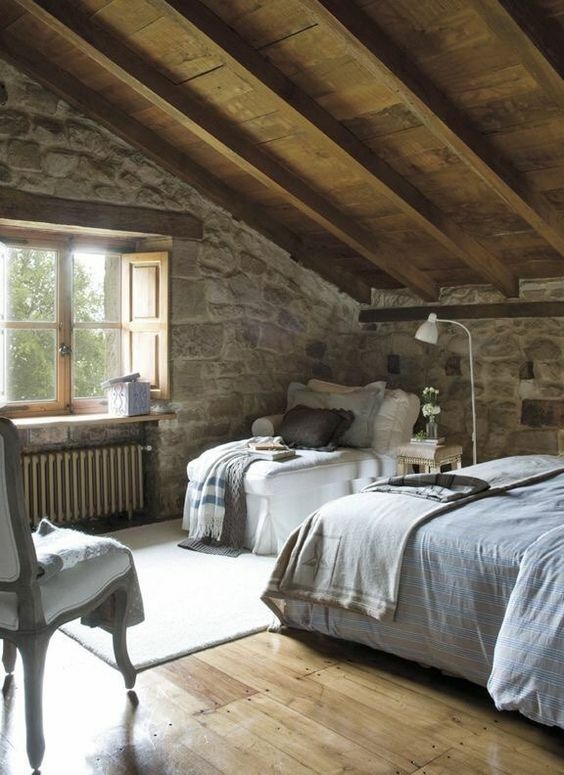 Modern rustic bedrooms often use a white and brown color palette. Some even have white on white to add light and as a contrast to warm wood elements. Wood paneling, white linens and faux fur make these bedrooms feel relaxed, modern and luxurious without feeling pretentious. 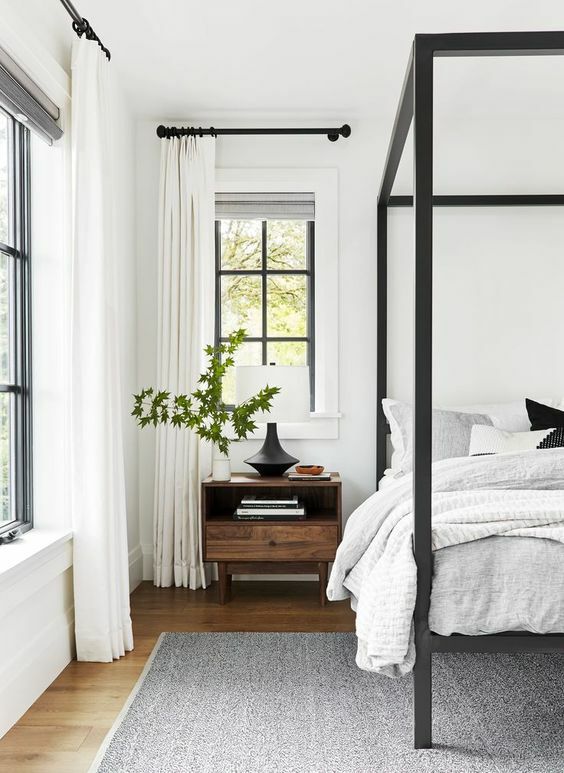 Details like farmhouse style hardware and floral arrangements, distressed wood and uneven stone surfaces used in unexpected ways give bedrooms warm and inviting. It makes you just want to cozy up with a good book and snuggle under a quilt. 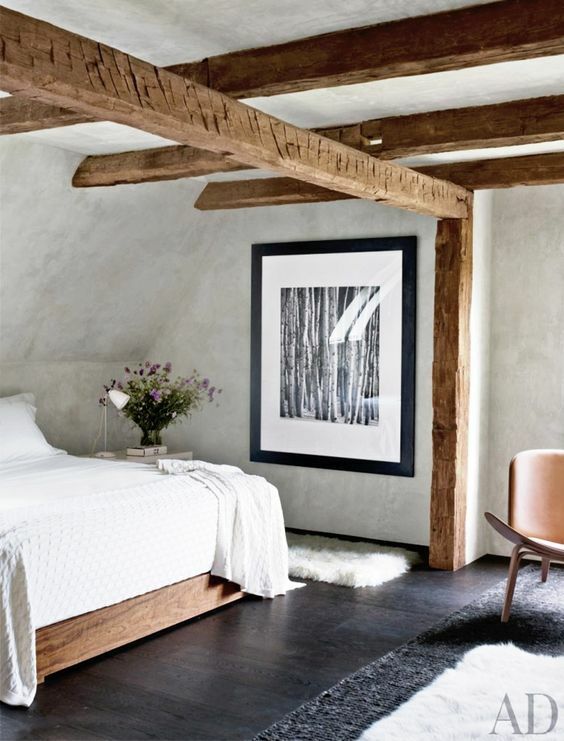 Rustic design is definitely a bedroom personality that has its own unique flare. If you like modern country and classic, then rustic design will give you the best of both worlds. Hollywood glam bedrooms are all things glitz and glamour, the opposite of rustic bedroom style. Not known for its subtlety or minimalism, this style is all about high style, luxury and personality. 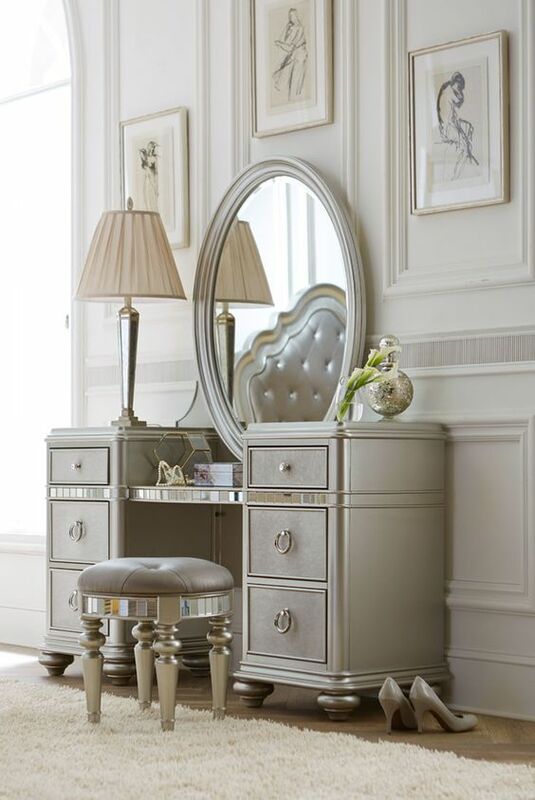 The color scheme is all about silver, gold, platinum and metallic sheen and flamboyant mirrors and lighting. Lavish fabrics, tassels, smooth mirrored surfaces and elaborate textured wallpaper are all important details for this decorating style. The focus is on using plush fabrics, luxurious upscale bedding, velvet, sequin and faux fur decorative pillows on the bed as well as a massive crystal chandelier hanging above the bed. This classic decorating style is often confused with 'Contemporary Style". Modern dates back to the 1900s. Its simple, clean and functional and a simple color scheme. Its all about metal, glass, and steel and definitely no clutter. The feeling of open space, furnishings with clean lines and geometric patterns are a vital for this look. The most popular version of modern style is known as mid-century modern, which was popular in the 1950's and 1960's and is now popular again. Modern style uses natural materials like wood to panel walls and even the ceiling. Mid-century modern adds chrome and plastics for color and shine and metal hairpin or simple wooden dowel furniture legs. These styles avoid unnecessary layers of fabric and textures and highlights posters, large artwork, painting, sculptures and prints. 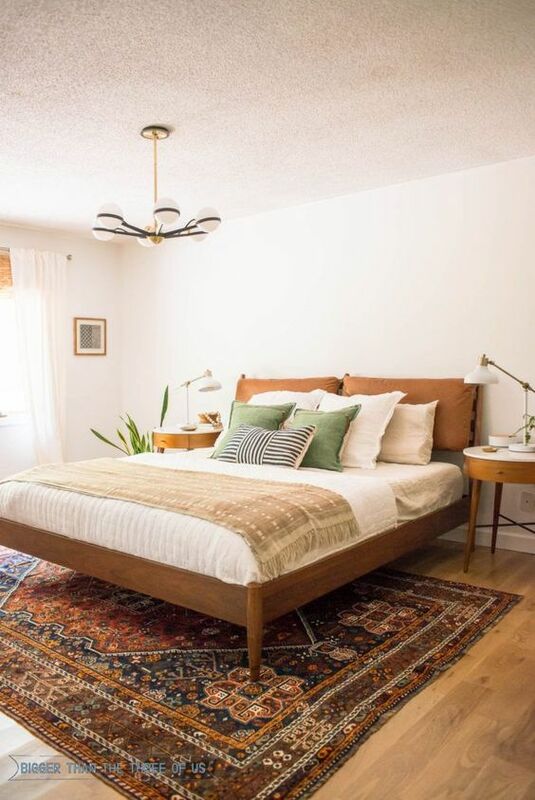 A well-known spin off of midcentury modern, Scandinavian modern, uses clean, streamlined and functional pieces with the addition of white, instead of warm woods, on walls and floors. Color schemes are subdued, with bright pops of accent colors for sharp contrast with red and orange the most popular color accents. 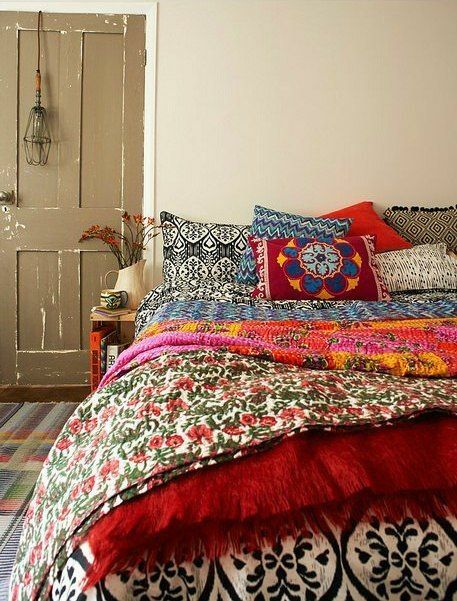 Its a relaxing style but if you love layers of fabric and texture, you might prefer Bohemian bedrooms instead. Bohemian or Boho style gets reinterpreted every few years and has made a spectacular comeback. 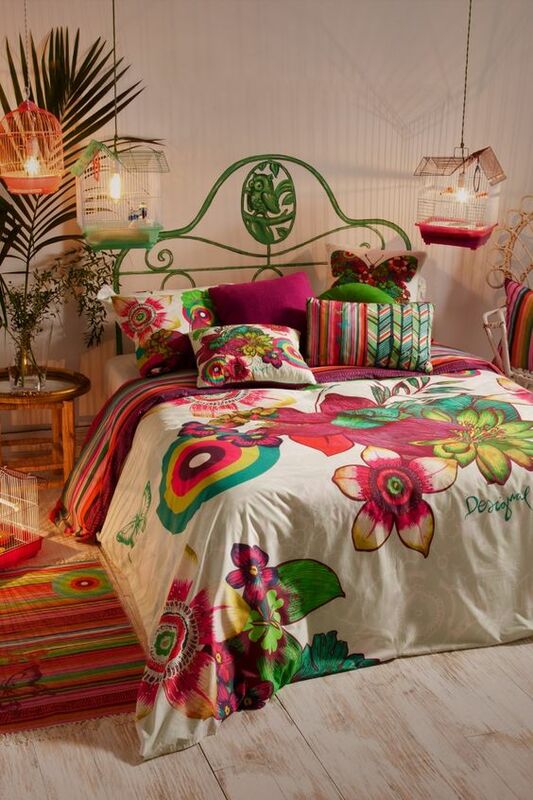 Boho is a style anyone can introduce to their bedroom. You can use it with it original Moroccan influences or blend it with a California cool vibe, a laid-back beachy look of artists and travelers who display exotic treasures from their adventures. 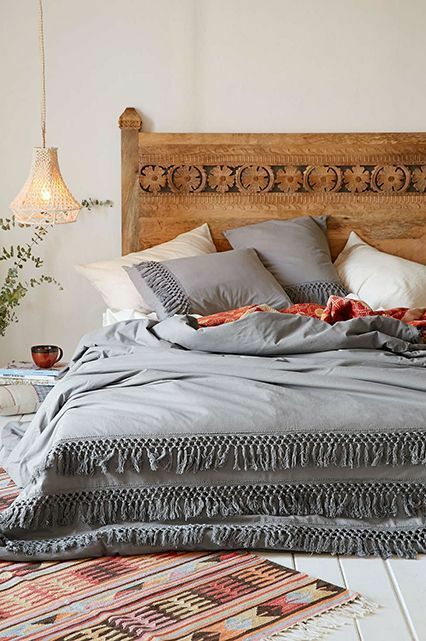 For a Boho bedrooms, choose relaxing muted tones on your walls or using neutral bedding and quilts. Add pops of color using bright cushions and throws or use a simple palette like purple, chartreuse and gray. But use layers. This style loves using layers of cushion, throws and rugs. Moroccan rugs are a trademark of this exotic style. Statement pieces like a bench seat, a mix of patterns, fabrics, eras and styles bring out the Eclectic and artistic free spirit of this style. In a bohemian bedroom style you can find vintage furniture and lighting mixed with culturally inspired fabrics and textiles. This bedroom personality is definitely eclectic and unique.